Button flashing red – what does it mean? As soon as a Protonet box cannot be started as normal, it starts up in rescue mode. Very rapid flashing (meaning that neither an internal stick nor a hard disk has been detected): Please contact Protonet Support directly for further analysis! If the button flashes more slowly: a live system will be started. 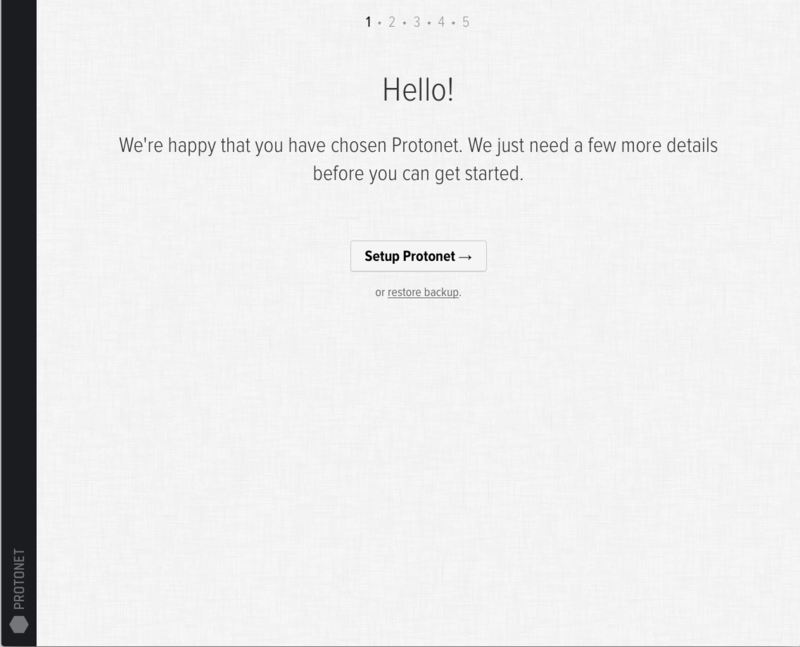 After a few minutes, a WLAN with the name “protonet” will appear. You can connect to this network to find out more details. A “rescue” file has been found on the USB stick. The system understands this as a command to start in the RescueSystem. Protonet Storage ZFS could not be “installed” on the hard disk. The hard disk may be formatted, broken or not connected. No Protonet firmware (file with the file ending .firmware in the USB stick folder /firmware) could be found. Stick may be defective or tampered with. The firmware was found on the stick and extracted to the hard disk. $firmware_name corresponds to the name of the firmware as recognised by the USB stick. However, it appears as though the packed firmware in /protonet/firmware is called something else. As a result, /protonet/firmware/current cannot be created. Firmware cannot be found/mounted on the hard drive. Software on the internal stick is defective. Hard disk and copy-on-write cannot be merged as part of a root file system. Mount point of the hard disk could not be moved to /protonet. Mount point of the USB stick could not be moved to /protonet-stick. Kernel modules could not be copied in the system to be started. Only seen if a monitor is connected. Live System not found from the USB Stick. USB stick defect. Contact support. I’m having trouble connecting to the Protonet solution. What should I do? Note: In case of issues or limitations regarding the proxy infrastructure, we will post information here on the main page and within the news section. Am I the only one experiencing the issue? Can the box be reached by using its internal IP address? Is the box switched on and the network cable attached to the network outlet / switch / router? The easiest way to check whether the box is connected to the router correctly and can establish a connection to the internet is to open the update page within the system settings. If it loads correctly, the network setup and cables are fine. 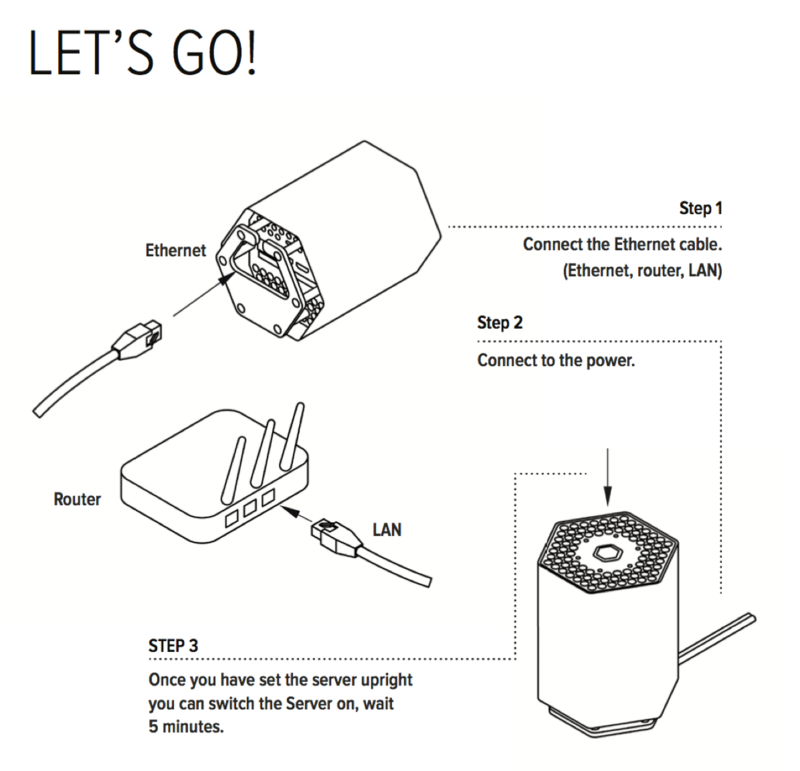 When that is not the case please check whether the box is listed correctly in your routers interface. Is there an external hard drive or memory stick still connected to your box? Please remove it and restart the box via its button (one short press should suffice). Retry connecting to it after about 10 minutes. 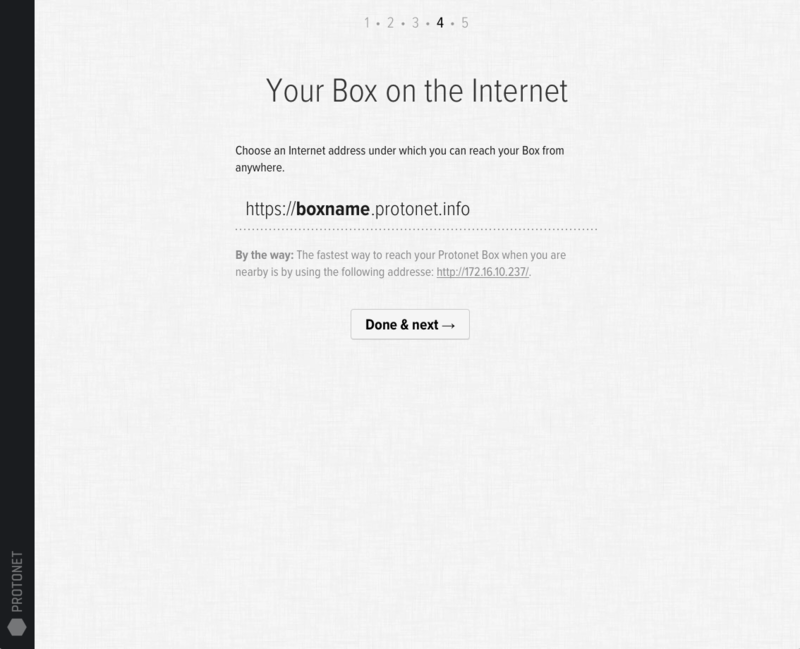 Was the box’s web address changed? Has a firewall been set up or changed? 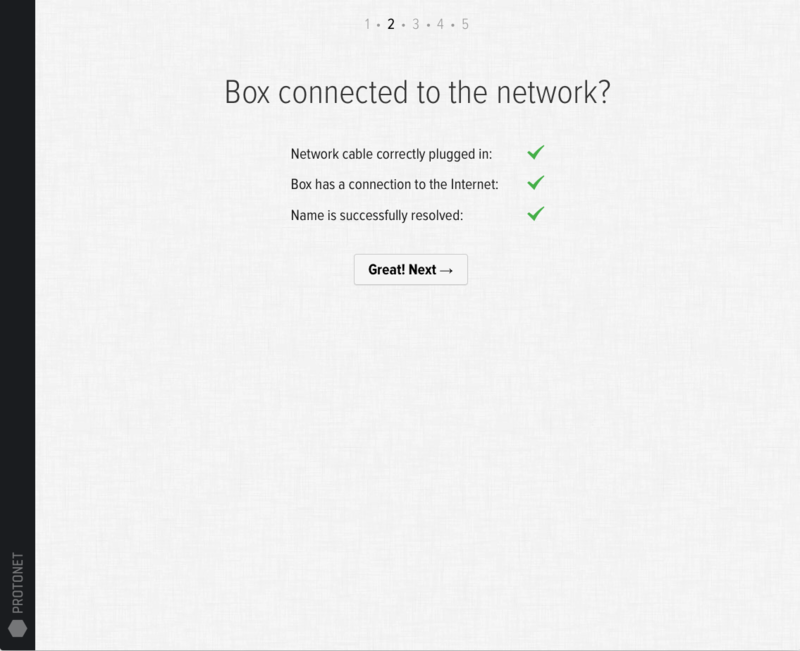 Does the internet connection that the box is using work? If this is the case: Go to the system settings and switch off the internet address, save and wait one minute. Switch it back on and save again. By doing this – or better even, restarting, the connection to our proxy is forced to refresh and your server should be reachable again afterwards. Every 30 restarts, the box performs a file system check to make sure all data on it is without error. This can delay the servers start up to 45 minutes. You can verify that this is the case by connecting a display. A reboot does not skip it. SOUL displays 234GB instead of 256GB? 10TB instead of 12TB? Or maybe 469 GB instead of 500 GB? Don’t panic, everything is fine! 234GB is the actually available capacity of a normal Maya with a 256GB SSD. What is colloquially referred to and displayed by Windows as gigabyte (GB) is actually a Gibibyte (GiB). This is because computer storage capacity units are based on a power of two, not a power of ten such as other units that use Kilo, Mega, Giga and so on that are defined by SI (Système international dunités). Therefore, a gigabyte is not actually 2^30 bytes but 10^9 bytes. This is why, 100 GB becomes 95,37 GiB. This means that the storage sizes declared on hard disks and blank DVDs are actually correct, but wrongly displayed by Windows. You can use this page to convert between the units. 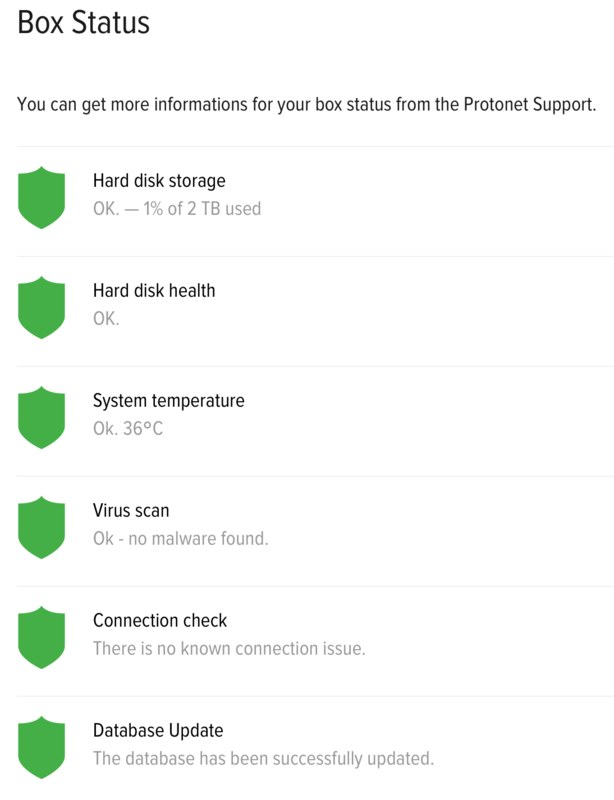 SOUL administrators can use the Box status page in System settings at any time to check for possible issues the Protonet server or network might have. Shows used and total storage capacity. This section shows the status of the internal hard disc drives. Green: All drives are in normal condition. Red: At least one drive is not accessible. Ensure that a recent backup is available and contact Protonet support for further analysis. You should not ignore this warning! There is a risk of data loss should another drive fail. Shows the current system temperature. Contact support, should the temperature not fall within 12 hours. Contact support for further analysis. Shows the results of the last virus scan. The virus scanner performs a check of all files once a week. It looks for new virus identification information every hour. If a virus is found, there is no threat for the Protonet server itself because it can not be executed on the server. The virus scanner only identifies potentially infected files that were uploaded to the server by users. It is no replacement for virus protection software on all other devices used to work with the server but is intended as an additional warning measure. Research information on the malware found and remove the infected files if necessary. Shows whether there are any problems with the boxes connection and availability. Check the individual problem displayed. Administrators or internet service providers might be able to help: For example there might be an issue with the ICMP-protocol being blocked by the firewall. A reboot of your router followed by a reboot of your Protonet server might also help. What happens in case of a hard disc failure? A hard disc drive (HDD) failure is indicated to SOUL administrators in the navigation bar on the left and the Box status section of the System settings. The section Hard disk health shows the status of the internal hard disc drives. Recommended action for a red status: Ensure that a recent backup is available and contact Protonet support for further analysis. You should not ignore this warning! There is a risk of data loss should another drive fail. How is communication with Protonet servers protected? 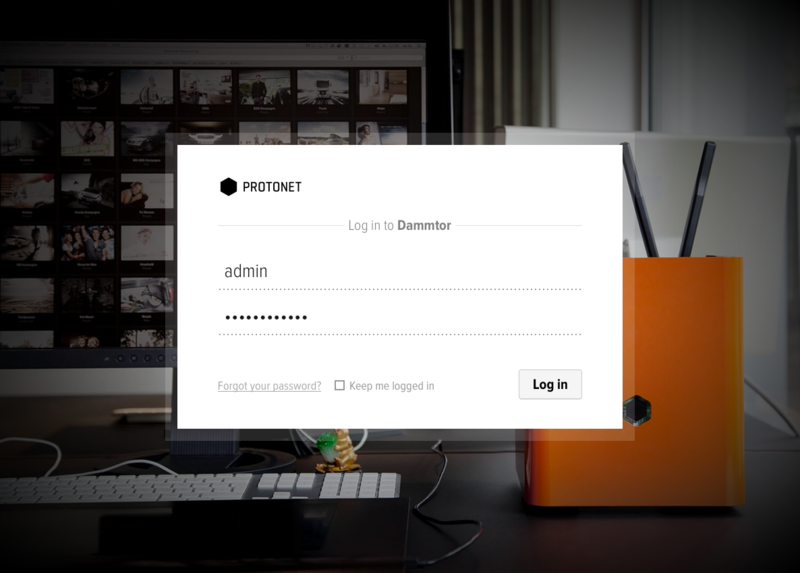 The use of Protonet server can be done via LAN cable, Wi-Fi or via the Internet browser. When using the Protonet server via WiFi we guarantee security through a WPA2 encryption. When reaching the server over the internet the transmission of data occurs via 2048-bit SSL encryption, which is the standard for online banking. How is data loss prevented? RAID 1 stores the same data on all drives (mirroring). If one drive fails, the second drive can serve all data as before. RAID 5 is a group of drives where every drive keeps it’s own data and a bit of parity data. This way, if one drive in the group fails, its data can be reconstructed from other drives. The server variants with the drive constellations 2×2 TB or 2×4 TB are set up as RAID 1, the 4×4 TB variant is set up as RAID 5. In both scenarios the capacity of one drive is not available for storage as it is used to backup data. Additionally, the Protonet servers run on a read-only operation system by default. This enhances the servers stability and the protection of the stored data. Additional services can be realised as virtual machines. How do I create a backup of my Protonet server? In SOUL you can start a backup to a memory stick or USB hard drive from System Settings under Backup. The page tells you how much free space your backup media needs to have at minimum. Note: Besides the Protonet backup, no other data can be stored on the backup medium – anything else will be erased! How do I set up my Protonet server? 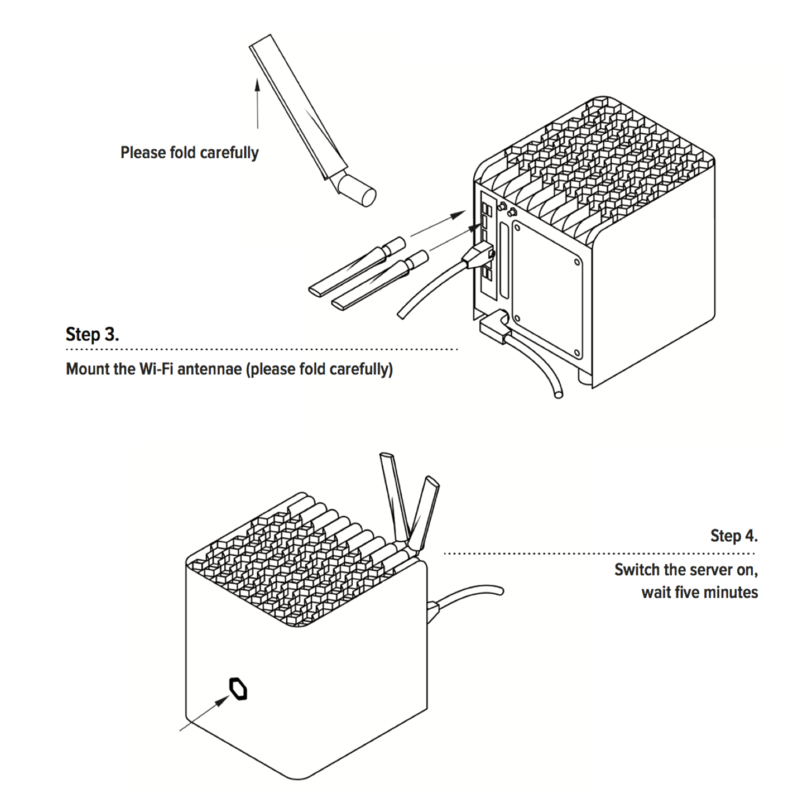 Protonet Servers are sold with user instructions that cover the setup and initial steps. 2. Restore from Backup or setup Protonet? The setup user ‘admin’ is no longer existent after this step. 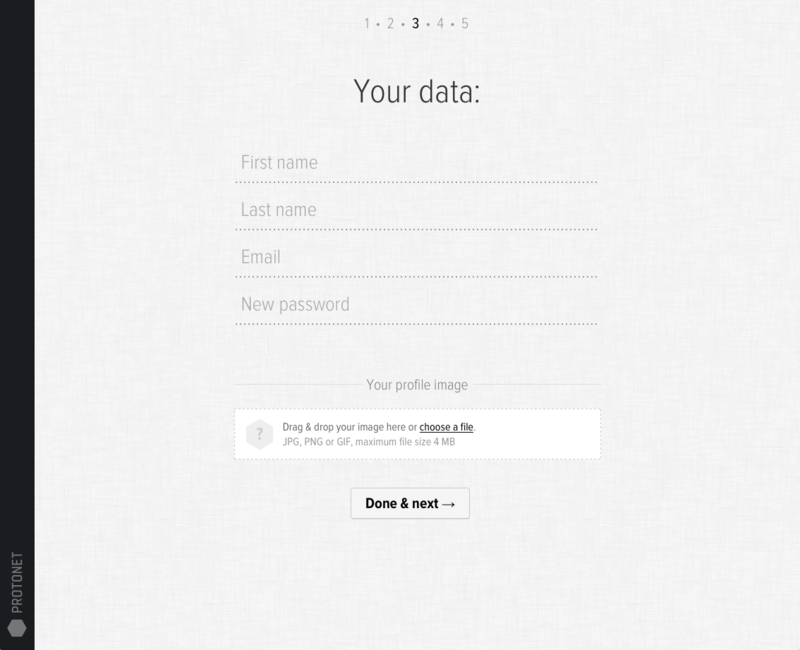 Please remember your name, email address and password! If this step fails, please check whether your firewall requires configuration. 6. 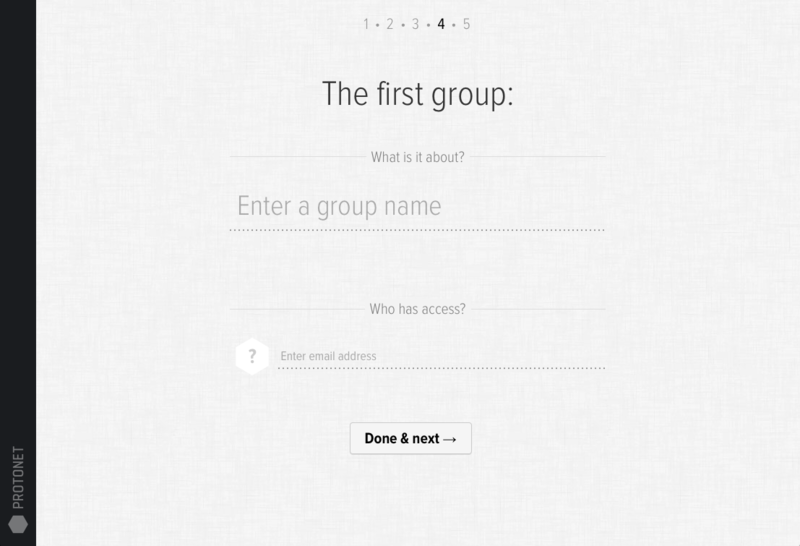 Name the first group, invite people and you’re done! Can I switch off internet availability? As a SOUL administrator the internet access can be switched off in the System settings. Why am I sometimes unable to reach the Protonet solution? When the availability of the server is interrupted repeatedly or the connection is very slow, the root cause often is a slow or unstable internet connection. This is usually the case if the upload speed is below 1 MBit/s either permanently or temporarily e.g. due to a high volume of data transfers such as downloads. If your computer uses the same internet connection as the Protonet server, you can simply use speedtest.net in your browser. 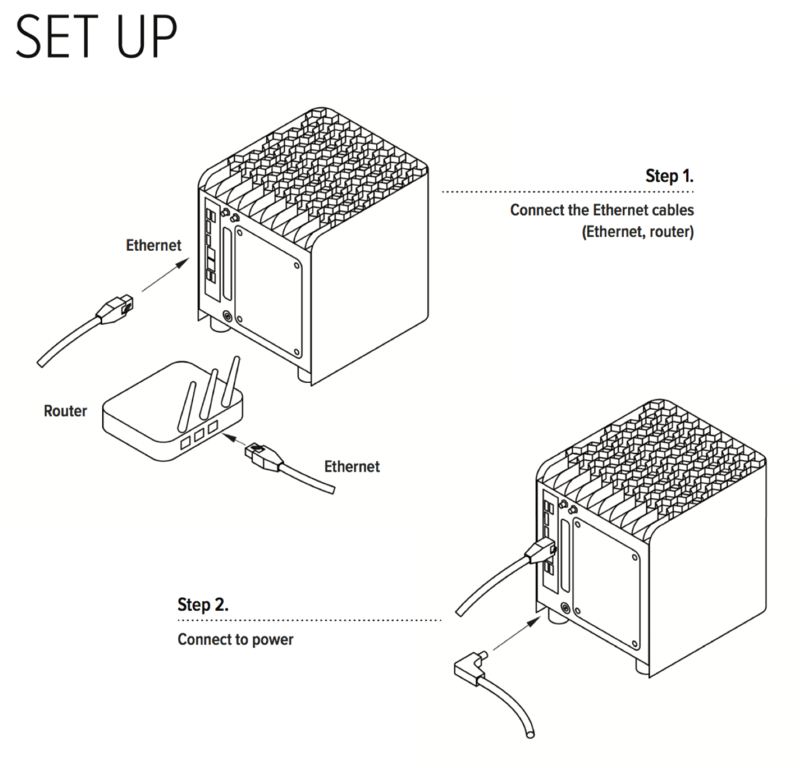 Alternatively you can hook up your computer to the same network port that your Protonet server is usually connected to and run the test. Sometimes too many devices are connected to the same switch and have to share its bandwidth! We also recommend talking to your internet service provider if the speedtest results are below the values expected. Protonet unfortunately is unable to assist in this issue. How to reset Protonet Servers? To avoid the Protonet solution – including any data – is being reset by mistake, there is a command line utility available, which requires ssh access and the current maintenance password. To generate the maintenance password in the SOUL web interface as a SOUL administrator you navigate to „System Settings“ -> „Support“. Here you click the „Create new maintenance password“ button. Please download and use putty.exe. When you are asked for credentials, use protonet as username and the maintenance password generated. Here you need to type in the maintenance password. Everything will be deleted now. If afterwards you still see only the system settings untouched, this is correct for older Protonet Boxes (before autumn 2014). How to switch off or restart the Protonet server? After a short (!) push of the hexagonal button on the front of the Carla/Carlita or the top of the Maya the server will shut down. Once the lights in the button are off, the server is shutdown completely. To restart the server, push the button again. This may take up to 15 minutes. Right before the Protonet solutions is up and running again, the button will show a black-and-white rotation animation. About 1-2 minutes after, the Protonet server should be ready and reachable. Alternatively, you can use sudo shutdown -h now and reboot via the Linux shell. Note: Once the server is shut down, it cannot be started remotely! Every 30 starts, the server is running a file system check to ensure data integrity. This may delay the server start for up to 45 minutes. To check if this is the case, you can connect a display to your server. A forced restart will not skip this procedure. There may still be an external USB memory stick or drive connected to the server. Please remove it and restart the server.